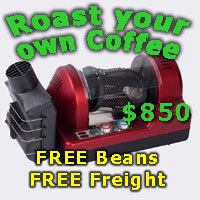 My Sunbeam EM6910 has packed it in and now I am looking to get a new or used machine $500 - $1000. Best machines out there in this price bracket? Happy to consider second hand also. Just looking for durability and something that can help me make a solid brew! Define "packed in". Is it "ran over by a truck" or "uneconomical to repair" or "pleading the 5th amendment"? BZ99 Rock Solid. Manual. SO you learn how to make espresso. CoffeeHack and JMcCee like this. The main difference between these is that the 41TEMD has a PID controller which gives you more consistent shot quality and steam. Probably a touch of uneconomical to repair and curious to see what people think of alternative machines. I have loved my EM6910 though!